We can print a wide variety of products, including books, catalogs, magazines, card games, board games, among others. Most categories (and most options) are eligible for instant online printing quotes. The links below take you to pages that pre-populate our pricing calculators with the most common specifications for each project type. If you don't see what you're looking for, please give us a call or e-mail us for more information. You can also request a custom quote and we will get back to you with more information. Print a single issue 6.625” x 10.25” comic, turn your webcomic into an anthology, or create a softcover manga. PrintNinja’s calculators are pre-populated with industry standards, but with our many custom options, there are endless ways to print your comic. Delight young readers with our selection of paper types and specialty options. Offset printing is the best way to showcase the vivid colors in your artwork and dazzle your audience, and our instant printing quotes . Showcase photographs or original artwork in a coffee table or photo book. Create a professional lookbook to impress potential customers. Use specialty options like debossing to make a real impression. Our calculator can instantly quote thousands of options, and we can custom quote just about anything else. Impress your customers and readers with a professionally printed catalog or magazine. With our variety of paper stocks and binding types, PrintNinja has options for just about every budget. Instant online printing quotes work very well for entrepreneurs and small businesses that need to maximize the value of their advertising budget. Instantly price your custom card game, or use PrintNinja’s board game quote form so we can start custom quoting your game right away. With scores of custom options, PrintNinja makes it easy to create a professional game that will leave a lasting impression. Don’t see what you have in mind? Our extensive printing capabilities mean we can support even more projects. If you’ve got something in mind, go ahead and drop us a line and we’ll work with you to determine if PrintNinja is a fit for your project. 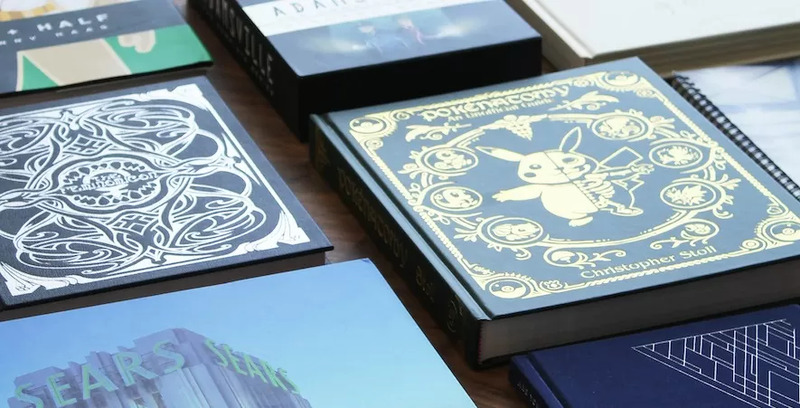 Get inspired by the unique ways our creators have used dust jackets. When you're ready to save a quote, you can add this custom option on the calculator. Showcase your artwork with a custom puzzle. Check out our jigsaw puzzle options and then contact us to get a custom quote. No game is complete without instructions. We have several options to fit your vision and budget right on our calculator. Not seeing anything that sounds like your project? Get in touch and tell us more about your project, and we’ll help determine if PrintNinja is the right printing partner for you.